Title defence campaign, can Austria stun continental rivals again? 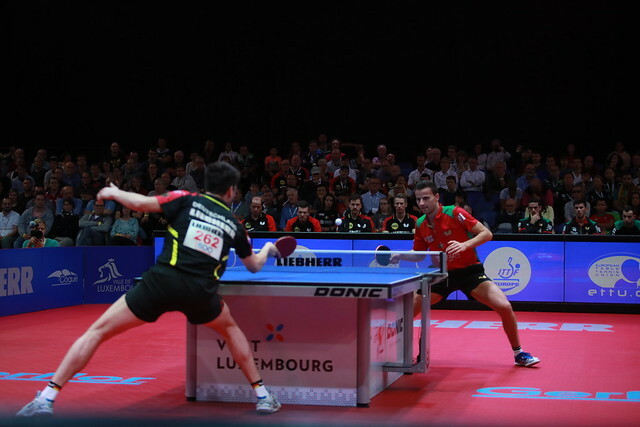 Austria caused a huge shock on the continent two years ago when the country reached the top step of the Men's Championship Division podium at the 2015 European Championships, and two years on the team heads to Luxembourg aiming to defend its title at the Liebherr 2017 ITTF-European Championships which officially commences on Wednesday 13th September. Robert Gardos, Stefan Fegerl, Daniel Habesohn and Chen Weixing were all members of Austria’s gold medal winning campaign and have been selected to represent the country yet again with Andreas Levenko also making the trip to Luxembourg. Drawn into Group A the Austrian team will face opposition from the Slovak Republic, Slovenia and the 2014 European champions Portugal. While Austria currently holds the title it is Portugal that enters the tournament as group favourites and will be hoping that the team of Marcos Freitas, Tiago Apolonia, Joao Monteiro, Joao Geraldo and Diogo Carvalho can deliver a positive showing at the event. 1998 was France’s most recent appearance in the final which also turned out to be a title winning year for the team, but there is a decent chance that the team’s long wait to compete in the gold medal match once again could soon be over. Last year at the 2016 edition of the competition France claimed the top two places on the Men’s Singles podium after Emmanuel Lebesson beat fellow compatriot Simon Gauzy in the final to lift the trophy. Both players will represent France at the 2017 European Championships along with Tristan Flore, Quentin Robinot and Alexandre Robinot. Romania, Poland and Ukraine provide the opposition for France in Group D.
The Swedish team being led by Mattias Karlsson and Kristian Karlsson has been placed in Group C alongside Greece, Russia and Luxembourg while in Group A title favourites Germany takes on Croatia, Spain and Belarus. Four groups of four teams will compete in the Men’s Challenge Division, and bronze medalists from the Perfect 2016 World Team Championships England will be hungry for success in the division. Samuel Walker, David McBeath, Tom Jarvis and Helshan Weerasinghe have been chosen to represent England while the likes of Italy and Belgium could also be in line to enjoy positive outings. There will also be two Men’s Standard Division groups as Latvia faces Norway, Azerbaijan, Montenegro and Cyprus in Group I while over in Group J Scotland, Wales, Kosovo, Bosnia and Herzegovina and Macedonia go head-to-head.